Available in Black Maple, Wenge, & custom finishes. Can be expanded to 98.8 spec with the additional 98+ expansion package. Each Shelf is individually isolated from the frame by 4 Silicon Gel inserts. 8 Adjustable spike feet for levelling. 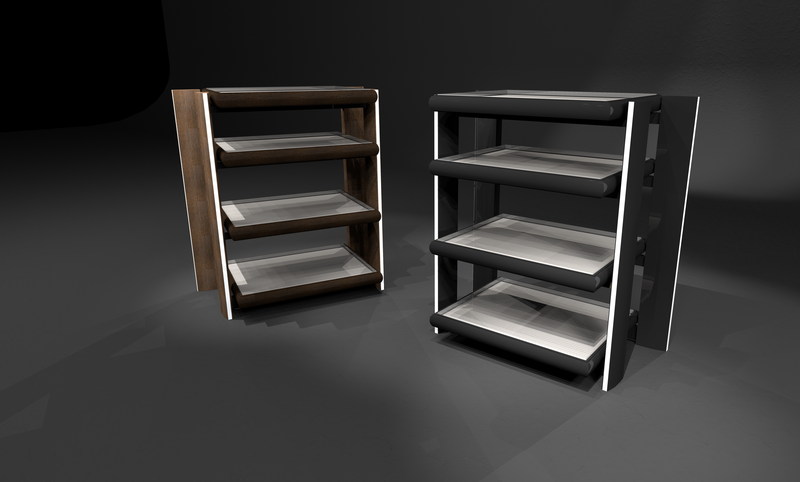 Shelf dimension are 590mm x 475mm. Weight is approx 65 kgs, providing an extremely solid low resonance platform. Grand Mirage 98.4 in Wenge, left, & Black, right.